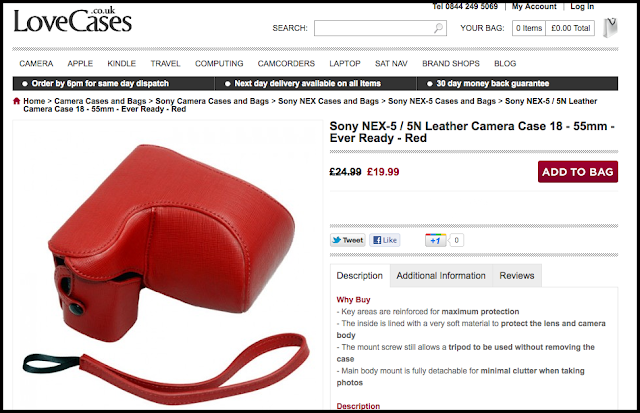 As I mentioned before LoveCases.co.uk asked me to review a Sony NEX5/5n case. This was the one I chose. Its a two part case, a half-case which can remain on the camera at all times, except when you want to remove the battery or card, and a larger section in which you can carry the camera plus a lens. In addition there is a wrist strap. 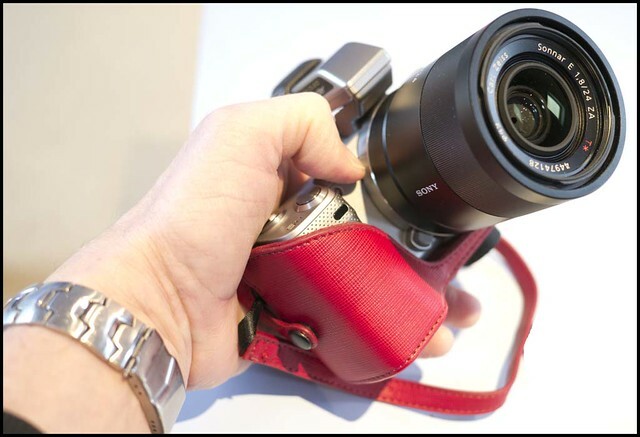 The case takes the 18-55mm kit zoom, and it also is able to accomodate the Zeiss 24mm, the 16mm f/2.8 obviously, the 30mm macro or many types of legacy or alternative lenses. 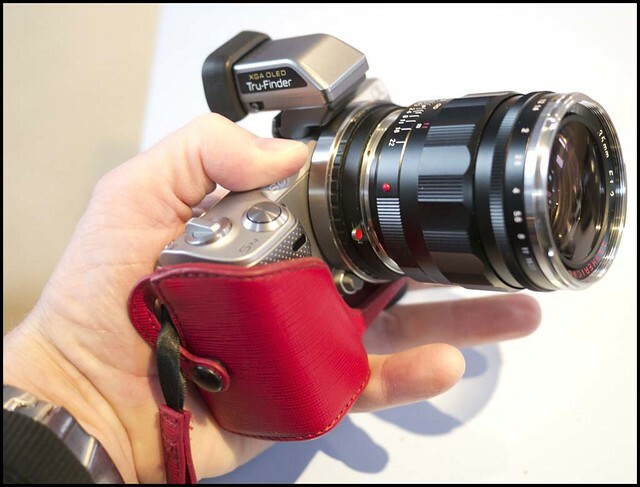 The full case isn't able to handle the camera with the add-on EVF, so if you have one of those it would have to be carried seperately. 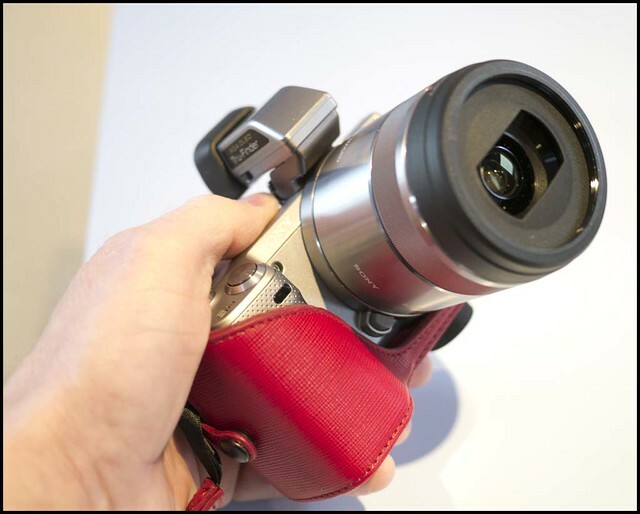 Here are a few pictures illustrating how the camera plus lens fits into the case. Here's a video of me inserting then removing a camera plus lens. As you can see, its a relatively easy process, and certainly it affords good protection for the camera and lens. For the price, currently £19.99, its very well put together. The stitching was excellent, everything fitted together as it should, and it was easy to put together and take apart. 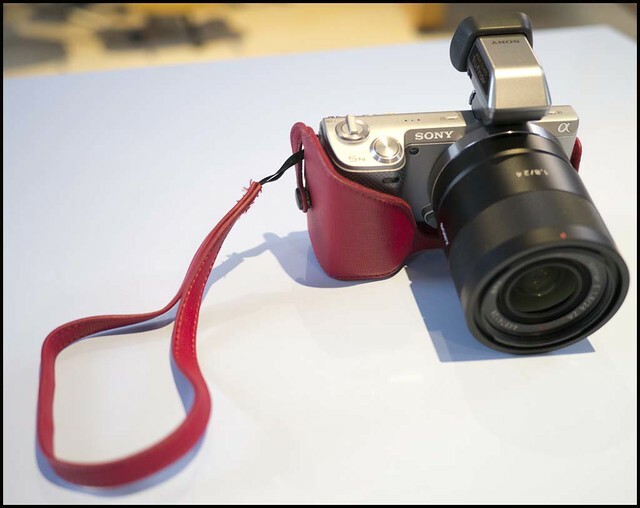 The wrist strap, instead of a leather strap, is useful if you like wrist straps. 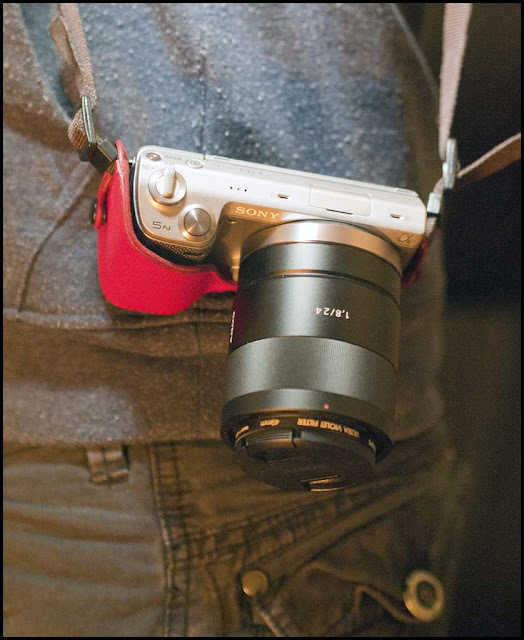 For the carrying picture above I put one of my straps on the camera. 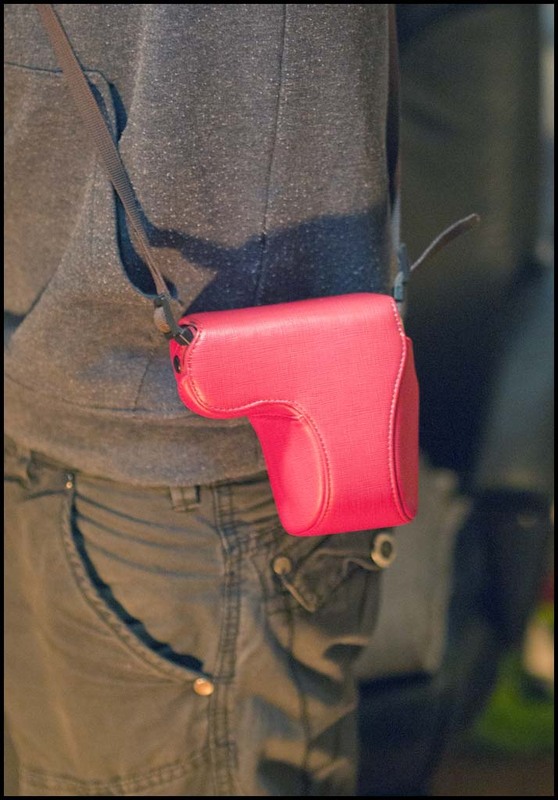 There is a slight problem, not on the part of the case I should say, in that if you attach a strap and carry the whole thing over your shoulder, it hangs in a "nose down" way. (See above) This is because Sony, have put the strap holder on the 5n vertically instead of horizontally. 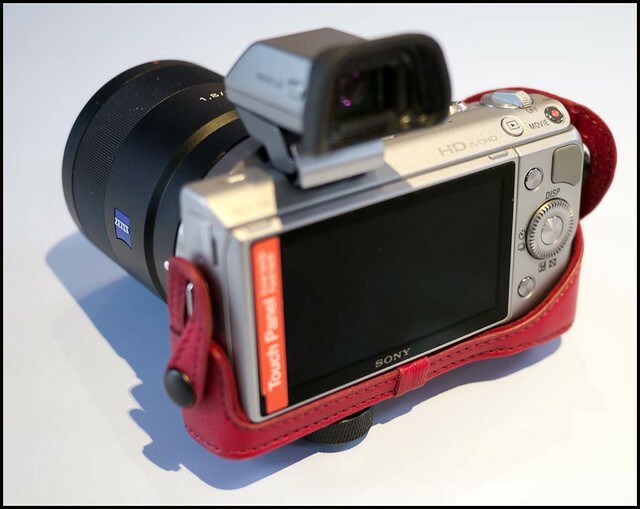 This may seem odd, but in fact if the camera hangs in this way, and you are only using the half case, the lcd screen doesn't bang against belts, studs, loose change etc. It may seem odd but its actually potentially less damaging. Anyone who has read anything here before, will know that I'm quite keen on cases like this for cameras. For several reasons. Since I work virtually exclusively outdoors, hand hold my cameras and walk substantial distances, I'm always looking to protect my cameras and lenses, while still having them accessible at all times. I also like the extra grip that they usually give to these small cameras, and finally since I buy and sell cameras a lot, the closer I can keep them to mint condition, the more I can sell them for. So I'm quite impressed with this case. Whether the colour is for you, is a matter of taste. I like it, and in fact I have a camera bag thats virtually the same colour. For me the most useful thing was that if I was going out with just one lens, which I often do, I would be able to use the full case to keep the camera / lens protected in the car when I was travelling, and then use just the half case when I was out and about shooting. Capable of accomodating a lot of different lenses. A strap as well would have been nice. You have to like red! Finally just a word on LoveCases.co.uk. They are certainly a new company to me, and its nice to see a UK company moving into this specialist area. I have enormous trouble trying to find decent cases at decent prices. I usually end up on ebay, so its good to have this alternative. 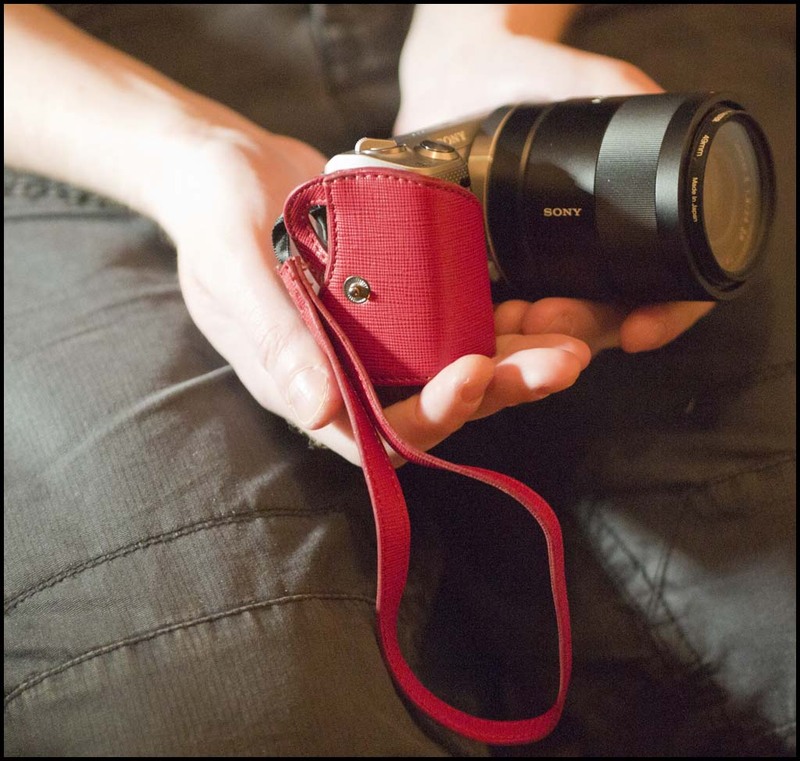 They have informed me that they are trying to source cases for other cameras, and certainly if they could find something for the Sony NEX-7 and Panasonic GX1, then I'd be very happy. The "native" cases from the manufacturers are always more expensive, and from my experience not always better than these third party alternatives, so anything that gives us more choice is always useful. And if my experience with this case is typical, they have decent stuff at reasonable prices and you can't really ask for more than that. By the way, many thanks to my colleague and nephew for modelling duties and shooting the video.